It’s Fall! 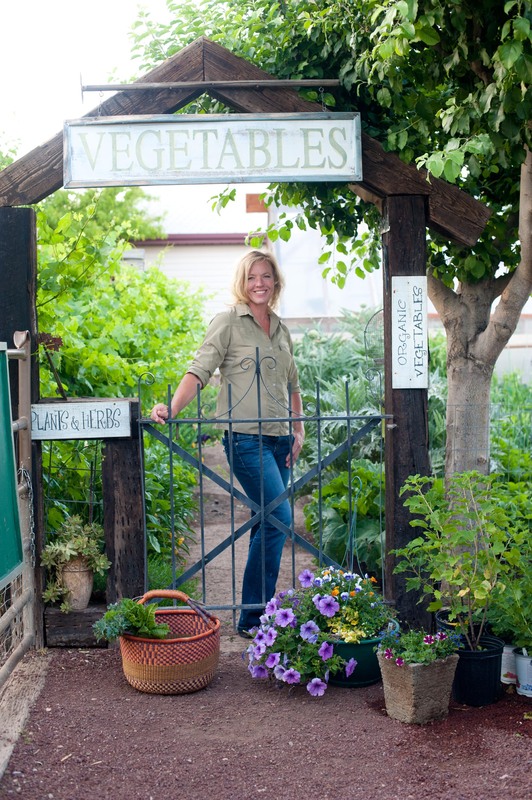 Well not technically, but around here when the monsoons come in and the temps cool just a little and mornings are crisp, I know it’s time to start planting fall crops, whether it be vegetables, herbs, annual or perennial flowers. Anise hyssop is first on my list. 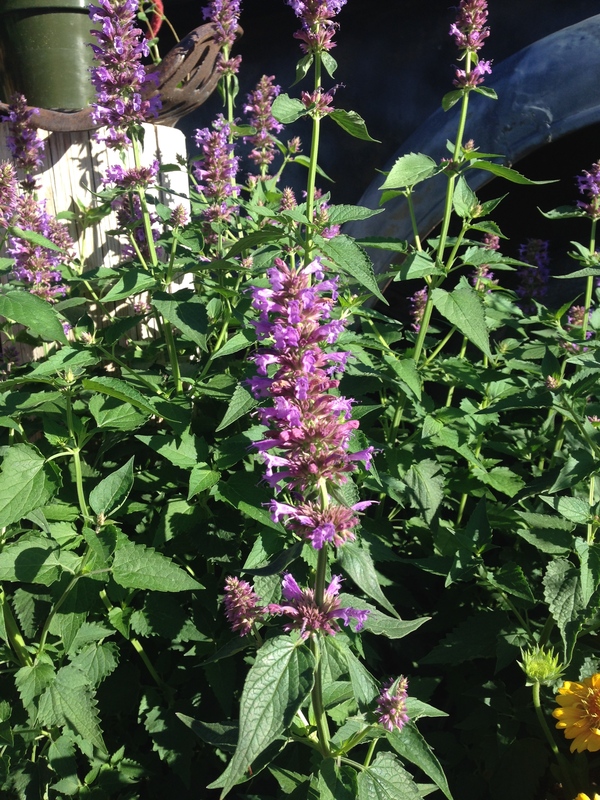 It’s a member of Agastache genus and is a favorite herb to attract hummingbirds. But more than that it’s a great mosquito repellant plant (perfect for fall monsoon weather). Bees love Anise Hyssop! I see bees hover over its flowers more than any other herb in the garden. Any help with pollination in the garden these days…I’m on it! Agastache (Anise Hyssop) comes in a variety of colors from purple-blue to the ornamental varieties coral, apricot and pink. Culinary Anise Hyssop makes a delicious tea. The leaves and blossoms can both be used and they have the fragrance of anise. Add the leafy stem to flavor a pitcher of water. Scatter the blossoms over a cooked vegetable like beets, or a plate of slice peaches. Add color to a lettuce salad. Be creative. Anise Hyssop is a very showy plant, blooming from June to September. Giving a bit of care by deadheading will insure larger blooms for a longer duration. Some plants will reach 32 inches tall or taller and they make a great accent in the background of herb or perennial beds. Once established, Anise Hyssop is very drought tolerant and most varieties are hardy to -20 degrees Fahrenheit. This plant is a winner in my book because it’s soil needs are minimal. Good soil drainage and a little compost upon planting is all it seems to need. A great plant for dry-land gardeners. You can also divide in the early spring with ease. Anise Hyssop Tea: Bruise a small handful of leaves by crumpling them in your hand, then add to a teapot, pour boiling water over the leaves, cover the pot and let it steep for 10 minutes. Easy as tea!